Please Note: Kite color availability is subject to change. If you have a color preference, please contact us at 800-622-4655 to verify color availability. This year, Slingshot's taken it up a notch with the Turbine. Introducing a new line of sizes, the Turbine is unleashing this high-aspect, high-efficiency kite to the masses. When it comes to sizing, Slingshot suggests kiting down at least one size from your normal riding size. The larger sizes are going to be ideal for newer riders and light winds. The 11- and 13-meters are going to be perfect for aggressive riding, lofty airs, and spicy riding. The smaller sizes are going to be perfect for advanced riders looking to have massive air and aggressive, high-end freeriding performance. The Turbine has proven to be one of the best light-wind kites ever made. For 2017, Slingshot is unleashing this high-aspect, high-efficiency machine in a full range of sizes. All the same qualities that make the Turbine such a great light wind kite translate to an aggressive, high-power, high-performance weapon as you go down in size and up in wind speed. The Turbine features a five-point cascading bridle and optimized leading edge and strut design. This configuration is engineered to give the Turbine stability and structure across a huge range of available sizes and provide easy relaunch in all wind conditions. Ballistic Kevlar, Mark Cloth and Neoprene scuff guards are strategically placed to protect vulnerable areas of the kite from scratches, punctures wear and tear. Strategic panel layout, superior canopy materials and precision engineered seams and stitching result in kites that can take proper beatings without issue. Slingshot’s unique panel layout not only adds strength and canopy structure, it also helps contain the damage to your kite in the event that it does tear or get punctured. DP175 is a premium canopy material used solely by Slingshot in the kiteboarding industry. This high-strength, high tenacity material is resistant to bias stretch and retains its structure exceptionally well, which is why we utilize it for every high performance kite we build. Where other brands have cut corners and selected lesser materials to reduce costs, Slingshot has remained committed to quality. Slingshot bladders are made in the USA to precision specs using high-quality polyurethane. 5 M 22 - 35+ 17" or 20"
7 M 17 - 30 17" or 20"
9 M 13 - 26 20"
11 M 10 - 22 20"
13 M 8 - 19 20" or 23"
15 M 9 - 17 20" or 23"
17 M 8 - 15 20" or 23"
19 M 9 - 13 20" or 23"
The Slingshot Compstick bar with the Guardian system sets the industry standard for simplicity and effectiveness. The "everything you need and nothing you don't" mentality of Slingshot is personified in this beautiful piece of kite-controlling artwork. 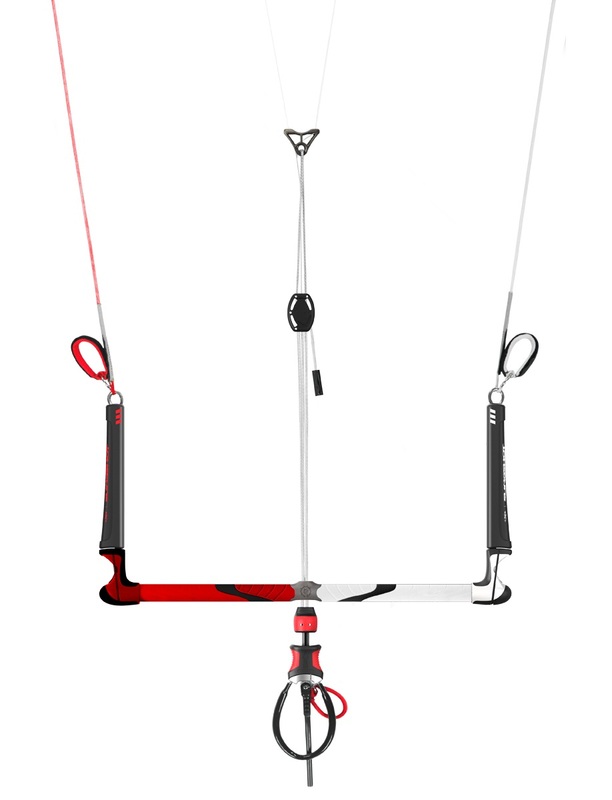 The Slingshot Compstick bar with the Sentinel system features everything you enjoyed about the classic Compstick, with an above-the-bar depower system. 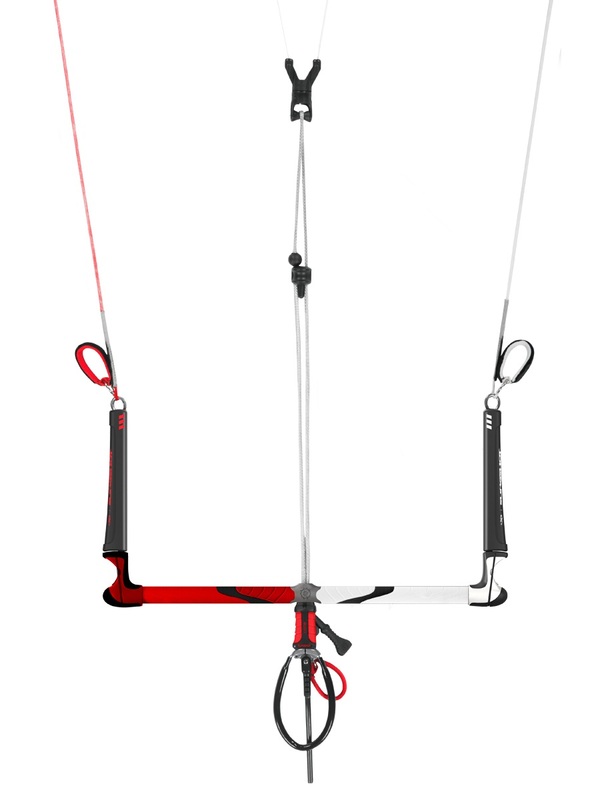 Don't be confused by the synonymous names - the two Slingshot bar offerings are clearly differentiated by the location of the depower system and an updated safety release system. If you enjoy more of an "out of the way" setup, the Sentinel is the bar for you. Control bar sizes are consistent with the above chart.